From breathtaking banyan trees and sandy beaches, Venice Island is a beautiful part of Sarasota. However, there's far more to do than admire the scenery as Venice Island also has an abundance of shops, restaurants, and unique landmarks to explore. For this reason, visiting Venice Island can be overwhelming if you step off the beach, but we've made planning your itinerary easy by finding places to visit on Venice Island from a local's perspective. If you love riding bicycles, Venice Islands happens to be a wonderful place to experience on two wheels! Bring your own or rent one at Florida Bike and Beach. Here, you can rent a bicycle, and they even will deliver it to you whether you're at a hotel, condo, or your own home. With stylish yet practical beach cruisers, you'll be comfortable riding around the lovely island of Venice. 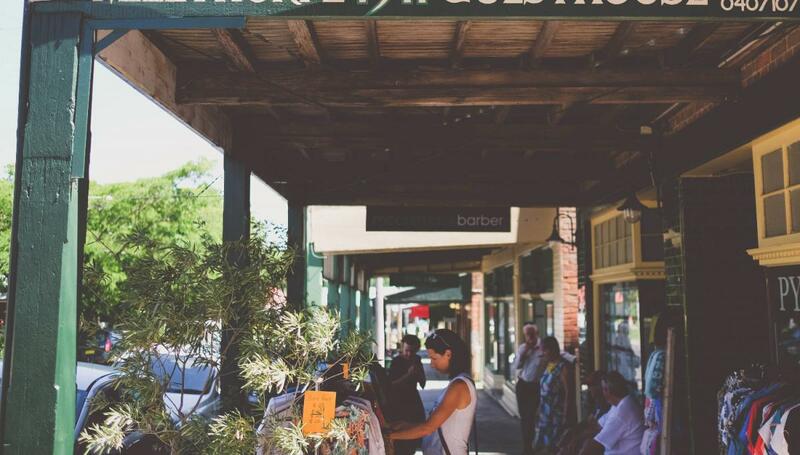 Start your day out on Venice Avenue where you could spend hours going through all the stores! Here, you'll find unique trinkets, shirts, sweatshirts, beachwear, and every kind of souvenir you can imagine. They also have wine shops, olive oils stores, jewelry, hats, beach floats, and so much more. If you have kiddos coming along with you, the Centennial Park is perfect for a family outing. Right in the middle of the island, across from all the shops and restaurants, this little park has a gazebo providing shade and a break from the Florida heat. The kids can enjoy the splash pad, which are conveniently located near the bathrooms, while you take a seat and relax. Centennial Park also hosts events occasionally, so be sure to check with the park's calendar to see upcoming events. Life Hammock Co. is a fun store that will definitely give you the island feels! From hammocks and swings to furniture and decor, you'll fall in love with their products. If you find something you just can't live without that won't fit in your suitcase, that's not a problem because they provide free shipping! After a couple hours of shopping, you've probably worked up quite the appetite! A local favorite on Venice Island is The Soda Fountain where you'll find the best pizzas, sandwiches, and shakes around; they serve New York-style pizza that's hand-tossed. The restaurants is easy to get to as it's on the same strip as all the stores towards the end. They're open from 11:00 a.m. to 9:00 p.m. Monday through Saturday and from 12:00 p.m. to 4:00 p.m. on Sundays. Their vintage-style decor dates from the 50s through the 70s, making this place enjoyable for every generation! After lunch, the perfect place to get a sweet treat is at a terrific gelato shop called Ciao Gelato. They have a multitude of flavors that never disappoint and allow you to sample as many as you wish. They have dairy-free gelato options, too, as well as delicious frozen drinks, milkshakes, smoothies, and floats. Now that you've filled your day with shopping, lunch, and dessert, make your way to the beach while you have some sun left! Venice Beach is a great beach for the family with volleyball nets for a fun game. If sports aren't quite your family's speed, just bring chairs, towels, and sand toys, and pick a spot to soak up the sun! The water is typically warm, making it ideal for swimming as it's not too hot or too cold. At sunset, the best place to watch the beautiful skies is the North Jetty, which just a little ways down the road from the beach. Here, you can park and take a walk along the shore. The jetty stretches out to the ocean, making for lovely, peaceful place to walk and watch the sunset. Venice Jetty is picture-perfect for photos and making memories while you and your family are on Venice Island. There are so many things to see and do here, but take it from a local and visit these places in Venice Beach. Find more Venice Beach restaurants and things to do in Venice Beach by registering on 941area, your free guide to everything in Sarasota and Brandon.